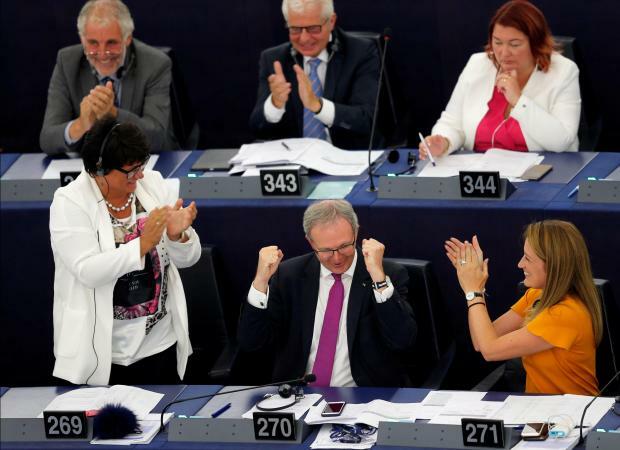 MEPs celebrate approval of the motion. Five of Malta’s six MEPs voted in favour of cracking down on Hungary, with EPP MEP Roberta Metsola speaking in plenary and urging her fellow MEPs to “take tough but necessary decisions”. S&D MEP Alfred Sant abstained from the vote, noting that while he harboured serious concerns about the “illiberal and authoritarian orientation” of Hungary’s government, he disapproved of the politicised way in which the EP investigated governance issues in member states. A similar investigation of concerns about Malta, he said, was partisan and one-sided.